Trois-Rivières is the economic and cultural hub of the Mauricie region, in the Province of Québec. The city is located on the north shore of the St. Lawrence River, halfway between Montréal and Québec City. Jobs offered in Trois-Rivières are pretty varied. You may work in the cultural or retail sectors, in restaurants, in a museum or even outdoors in a summer daycamp! Accommodation is provided with your participation in the program. You will be staying in the university Residences. Trois-Rivières is located 140 km eastbound from Montréal City. It is accessible through some of the main highways: Highway 40E, on the north bank of St. Lawrence River; or the Route 138, called also Chemin du Roy, a beautiful scenic and historical route that crosses old towns and communities along the north bank of the St. Lawrence River. 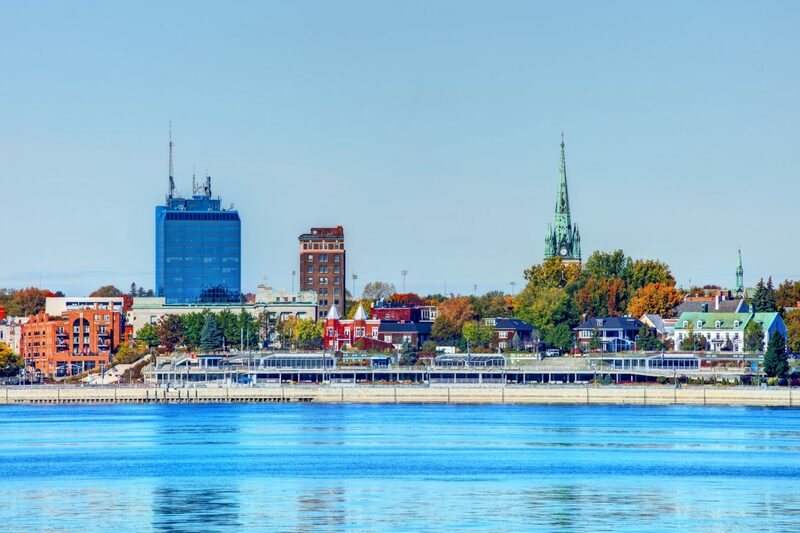 Trois-Rivières is also accessible by the south bank of the St. Lawrence River, by taking the Highway 20E from Montréal City, then crossing the bridge Laviolette on Highway 55 North. There is a small regional airport in Trois-Rivières located at 3500, rue de l’Aéroport, (819) 377-4382. Although for reaching Trois-Rivières from International and domestic destinations, you will be transiting from Montréal city airport. The transportation network in the city of Trois-Rivières is the Société de Transport de Trois-Rivières. If you need to see a doctor, please go to medical clinics without appointment to get non-emergency medical care. Check the list of medical clinics in the following websites. Info-Santé 8-1-1 is a free and confidential telephone consultation service. Dialling 8-1-1 promptly puts you in contact with a nurse in case of a non-urgent health issue. The service is available 24 hours a day, 365 days a year. Anyone living in Québec can call Info-Santé 8-1-1 for themselves or a family member. If there is a medical emergency, please call 9-1-1 or go to the emergency department of the nearest hospital. Trois-Rivières is a lively town. It is the cultural hub of the Mauricie region and has a lot of things to offer to visitors during the summer. Here are some websites that provide information on interesting activities to do in the region, and the list of summer events.